Spray 9x13 inch baking dish with non stick cooking spray. Place chimichangas in a single layer. 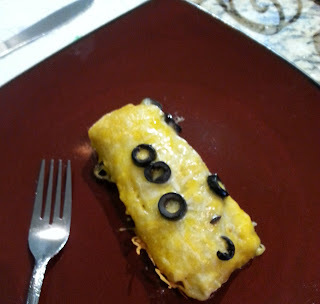 Pour green chili enchilada sauce over chimichangas. Add cheese and black olives. Bake for 30 minutes. these sound great my family will love them!